Thanks for the feedback re: Marchex. You make some good points. It will be interesting to see how this plays out. "it's an interesting idea but I think it will fail. You can't automate local. How are these generic sites going to beat established sites like CitySearch and Digital City (AOL Local)? Those companies have dedicated editors for each city as well as partnerships to properly syndicate local content." Yeah. I was always wondering about hyphens as well. It is a sign that domain name is not that expensive and lower chance of having a good content on it so Google could count a less weight on it but it is just my speculation. I buy keyword domain names for creating quick niche sites and they always rank quickly. Number 1 in less than 24 hours was a standard assumption a while back but i think you are right in what you are saying. My own methods are failing me slowly as Google home in on yet another loophole in their algo. I have been penalised recently for anchor text so i can confirm what you are saying is definately happening right now. Whether or not a hyphenated name works in the engines - have you ever tried giving someone the URL over the phone? Awful! what comes after the "." doesn't matter in the search engines (unless we're talking about geographic-based extensions), but it would matter for your branding. It will take much more money to brand a site with a .us extension because most people automatically think of .com when they type in a site, and much of your marketing efforts will be siphoned off by those who have the more-known extensions. I can't think of one site offhand with a .us. The same applies for other extensions like .info, etc. Of course a .com is exceptionally hard to get, so sometimes you have to drop down the ladder to a .org, .net, etc. On the other hand, if you have an already-established offline brand your decisions are more limited. If your name is trademarked, you can always try to use legal options to wrangle the domain away. You can also use a slight variation on the name. How about del.icio.us? That ranks right? I still default to using keyword laden domains for new or young sites as I have definitely seen how much easier it is to get ranked in the short term. But something like del.icio.us is a branded image domain. What does the word Google have to do with search, or myspace with community site, or monster have to do with finding jobs? They are all branded business concepts, and are far more catchy than myfavoritesearchengine.com. If search is moving towards larger authority sites, keyword domains will definitely lose influence, simply because legitimate businesses so rarely name themselves using keyword search terms, if ever. Aaron's domain seobook.com is a good balance between brand and keyword. I doubt people are searching for "seo book" unless they already had heard the name. But the domain gives something noteworthy for others because it stays in your head. I still prefer to have an easy to remember and brandable domain name. Even if I lose some SEO edge. I agree with Hamlet, I prefer my domains to have a catchy brand name rather than a generic keyword domain. Though brandable, memorable AND keyword rich would be optimal, but that's where it gets tricky. I have a site with a hyphen in the title that ranks very well. I am currently trying to acquire the .com version without the hyphen. Why? 1st. Because my domain is co.uk at the moment with not as many US visits as I would like. I'd like to suggest you do a post expanding on the Marchex developments and how Google might react to this. I'd like to hear your thoughts on this, as I thought what Marchex is doing is interesting. Their monetization is semi-automated, perhaps almost entirely automated...they use a technology called Openlist to gather relevant content from across the web or other local data partnerships, and then wrap the contents in ads, while collecting user feedback as content. Of course the format will change over time, but think of the web as being a whole bunch of eHow / WeHow / Yahoo! Answers / etc. on niche domain names. Off the start a large percent of the content might be scraped from trused sources, organized, and distributed on relevant domain names is a way that provides adequate signal to noise ratio. Over time as they collect more user feedback and expand the value of their sites perhaps they might also look for ways to integrate the ads more aggressively. What I would be concerned with is thinking that even if the sites were good enough to get indexed now I don't think the end goal is what Google would want to support. Where possible, Google would rather show Google Local or Google Base information, or send the local traffic to the same sites and companies that Marchex scraped the content from or brokered the content deals from. If what Marchex is doing was of value and proved to be useful, Google has more capital than they do, so Google could just go direct and do the same deals, then send that traffic to Google Local. Google already allows people to leave feedback directly on Google Maps. Regarding Marchex, it's an interesting idea but I think it will fail. You can't automate local. How are these generic sites going to beat established sites like CitySearch and Digital City (AOL Local)? Those companies have dedicated editors for each city as well as partnerships to properly syndicate local content. How is a scraper going to beat these kinds of sites? No, I think Marchex would be better off parking their generic domains. It's an "all or nothing" proposition. Either build real location-specific sites with unique content or have zero content and just ads (which in theory should be relevant). Take a look at "image hosting"
Guess who is rank #1? Not imageshack.us, not flickr, not photobucket. I used to rank #2 (imagehosting.us) for "image hosting"
If Aaron had a different domain for the SEOBook, he "probably" would not have #1 ranking for "SEO Book" Maybe or maybe not. That is how important domain name is to SEO. Strategic Keyphrase Location Based Top Level Properties are PriceLess. Your Company is judged by your domain. dashes hyphens only weakens your credibility. Imagine using a .us youll always be looking up at the stars and wondering how many people are going to the most credible domain. or if that .com address is receiving your email by default. .com is on the Iphone as a instant icon for linking without typing in the .com. A premium vertical Dot com represents prestige and that you will most likely be around for a long time to com.. Not some late in the game flash in the pan-handler. When business.com sells for 300-400 million and dowjones or nytimes starts a whole new site what is at the core of what they are paying for. We will soon see portfolios of domains sell for billions of dollars. On your marks get set. Game over for most. I have found that it doesn't really factor in if the words are backwards. As to the other questions, I think it works across .us as well as other extensions, but does not work if the domain name has hyphens in it. "From my experience this exact match domain bonus works with all domain extensions (even .info), but that could change over time. 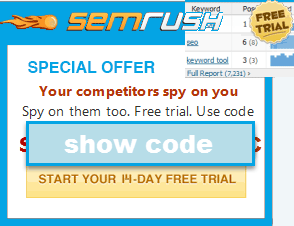 This exact match domain bonus also works well in local markets for regional domains like .ca". Yes, but there is a strange Google penalty at work when it comes to sites with a co.uk domain. Searches at Google.co.uk using the "pages from UK" option return fewer results for a co.uk site than searches using "the web" option. It's the exact opposite of what you'd expect, but it's what happens. domain names are very important if you are targeting a particular service or a product.. and its a gold mine if u can get what u want as a excact keyword matching domain... but i feel it should not totally a key word domain with out an value or meaning.. for example say " travelbhutantour.com" this will come on top no doubt but todays surfers are smart people and dont like domains which are to get on top on google..
i personally have many sites online which are number 1 on google and i make good money out of them but i also make sure that my content is rich and iam selling what iam writing on my domain and not taking people on a ride..
also i feel that google adwords is a excent tool if used wisely and smartly. cheers people i hope i help.. It has been my experience that having the the keywords in reverse order for an exact match keyword domain will still give some benefit but not near as much as the exact match keyword domain where the words are in the logical order. Also, it is important to keep in mind that if a domain "just doesn't look right" in the eyes of a user then they often won't click through so be mindful of that when looking at domains with alternate order keywords. Another downside to having a domain with dashes is that it can be hard for visitors wanting to return to your site to remember where exactly the dashes are. It is easy to lose repeat traffic to the dashless domain counterpart if you have a dashed domain. I have a client that has an extablished domain 2 years. The domain was never submitted to google and nobody linked to it so page rank is 0. My question is should I promote hotelname.com or should I register hotelnameparis.com to target "hotel paris". 2nd question, will there be any problems using both. Use the easy one for documentation and emails and use the keyword one for links? In most cases I would recommend using the shorter of the two in offline marketing, while ensuring it 301 redirects to the other one if I decided to use both names. As far as which is better, it really depends on if you think you might extend your hotel chain and if you would intend on extending it into different countries. Typically each domain should be set up to target one language and one country. Additional countries and languages should either be new domains or subdomains. I have a keyword rich site with in two week i got yo to the first first page on the google. for $10.99 for one year its not bad. type silver jewelry factory on google you can see my listing on the first page. i get like 200 hits a months. so by all means if you can get keyword rich domain name get it if its .net or .us ect... it helps in taffic. can I redirect an exact match keyword phrase domain? I have a question that I probably already know the answer to. My question is, if I have a good content site but I am hanging around in the middle of the first page for a certain keyword phrase. Could I go get an exact match keyword domain and then just forward it somehow to my main site? The reason I ask is because I am currently ranking #4 on a specific keyword phrase. I was actually at #1 for a short time. Then out of no where, some crap site shows up above me, with absolutely no valuable content, I think 2 or 3 content pages that look like they went through a spinner they were written so bad. No PR at all (I have a PR 2 site) Also the alexa rank on the site is about 1.6 million (mine is about 175K). The first post on this site was made less than a month ago. Basically some one just grabbed exactkeywordphrase.com spent about 5 minutes throwing crap content on it and is now #3 of that phrase. Can I get exactkeyword.us or something and redirect to my good site that is already ranking number 5? I have to disagree with the above post about not having niche websites. For years yes having niche was great (keyword.com, etc.). I know having a larger more site with authority is good but I would also have many niche websites instead of putting all your eggs in 1 basket. I've seen tons of sites get hit in 2012 and why would you risk that. We have a site online-degree-programs.com that once was a big site and now we took it down to focus on just online degrees. I think this is better than us having 1000's of pages that focus on everything education related. ...with your spamming efforts. however, you won't be getting links from us. your comment has been delinked & your account has been banned. Data Centers.com versus Datacenters.com for Anchor Text???? We've researched top industry keywords and recently purchased a very strong domain based on 1) memorable, 2) brandable and 3) keyword popularity for the term and similarly related terms. The question now becomes how to use it in content as anchor text? Do we use Data Centers.com in our content, titles and headings or Datacenters.com?